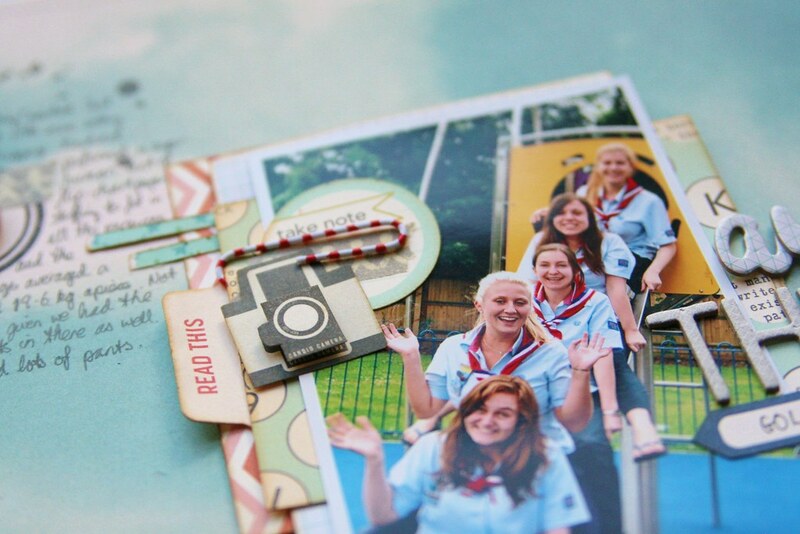 I've never really made a scrapbook album before. In that I've never sat down and thought about it as a book in a chronological order and how it will read. I just make pages and stick them in wherever they'll fit. But now its the summer holidays and I've had chance to have a look through Shimelle's Cover to Cover class and I love the philosophy contained within. And so I set out to plan my Armenia album. 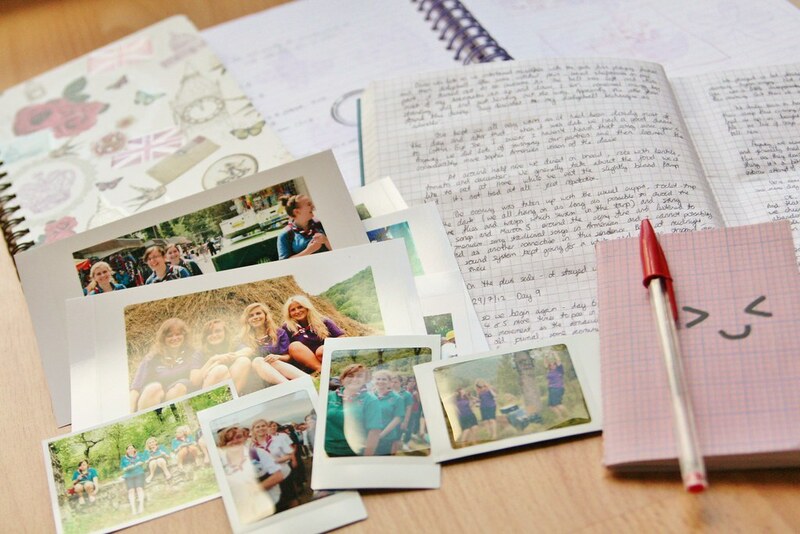 I've doodled in numerous notebooks, printed a selection of pictures in a variety of formats and I've got journalling from my journal and the Team Armenia blog. And since I'm taking a leaf out of Shimelle's book, I'm also giving her class 'The Perfect Collection' a try. The class is delivered through a video tutorial and Shimelle demonstrates how she takes one collection (or I suppose any selection of supplies) and makes a variety of pages. She encourages you to cut up the papers and go for it and that's just what I've done. 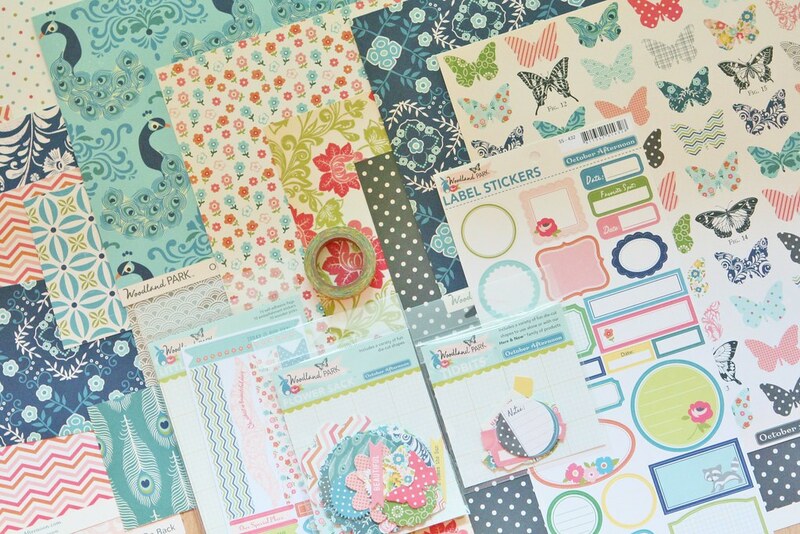 I fell in love with October Afternoon's collection Woodland Park when they first displayed it way back in January. I was exceedingly jazzed to finally get my mittens into it and ordered all the papers and some of the embellishments. 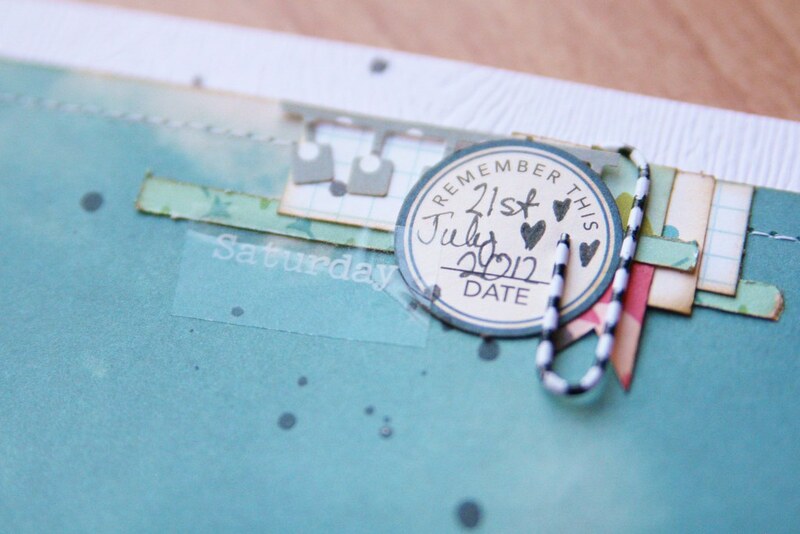 I also included some neutrals such as cardstock and ledger paper to use as backgrounds. And here's my first page. Everything packed. Just about, with some sitting on luggage. Rachael performed a super-human act of flipchart-paper-stuffing to fit in all the resources and the bags averaged 19.6kg apiece. Not bad given we had the tents in there as well. And lots of pants.We spent a lot of time talking pants before we left and after some regional trousers/pants/knickers confusion we reckoned on around 14 pairs. These things are important. We looked shiny and happy and set off for the airport in high spirits. Armenia, here we come! Via Poland anyway, at stupid o' clock in the morning. You can't have it all. I arranged this page along a diagonal and really liked how it worked out. In fact, I'm working on page where I do this again and I'll be back with that one soon. I'm looking forward to putting together an album and I think I'm going to use that as the basis for my Learn Something New Every Day. Yup, Shimelle again. Someone give that girl a lollipop. And I would like one too. P.S. Actually, forget the lollipop, I'm going to have some ice cream and a cup of tea. Some things never change. No, some things never change, like my admiration of your work ;) So so fun to see bright colors on your layout, love the details always plus that background is awesome! Such a lovely fresh page! You all look so happy ... This is going to be a great album. Lovely to see you pop back into my blog reader - and with such a beautifully detailed page. An amazing start to your album! This is going to be one seriously fabulous album! absolutely awesome layout!!! 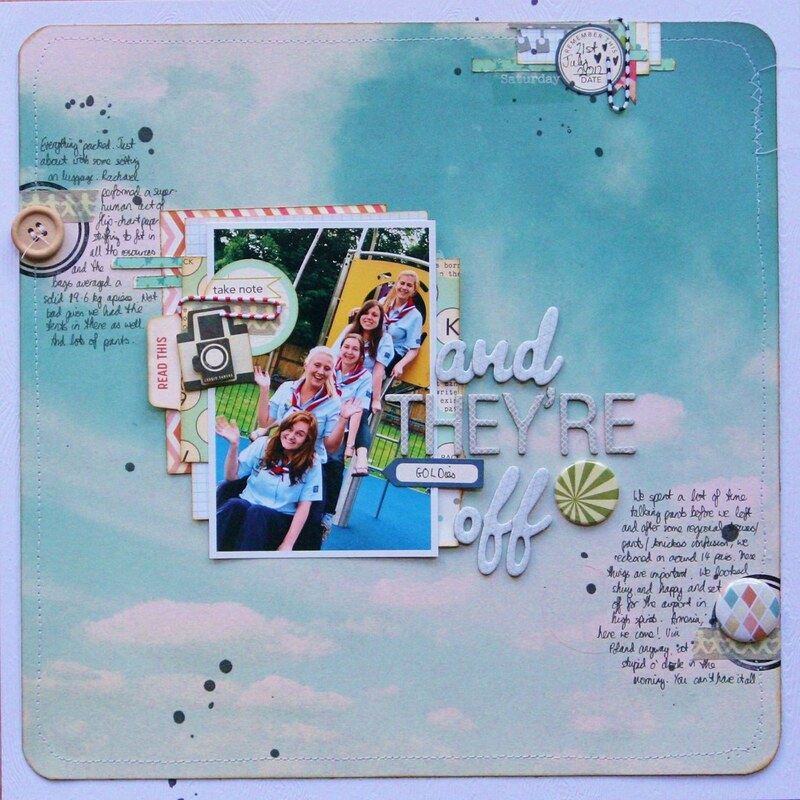 i had so much fun taking Shimelle's class The Perfect Collection! (and the hitchhiker, and beyond blogging...) isn't she the best teacher?? Lovely to see you back...and what a great start to your album!